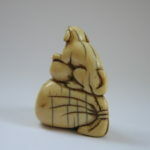 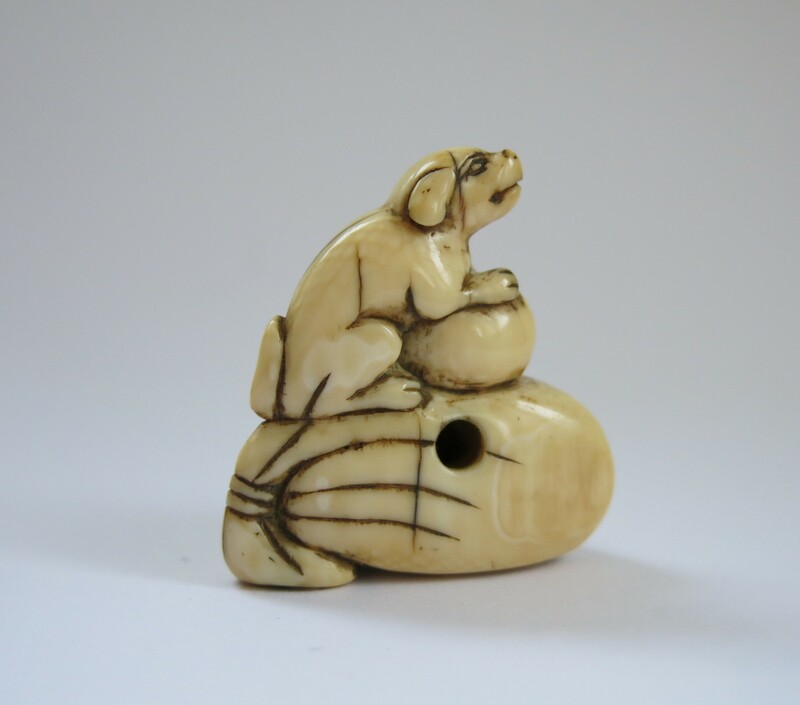 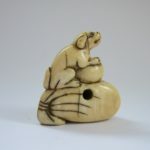 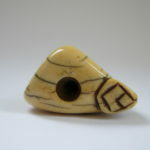 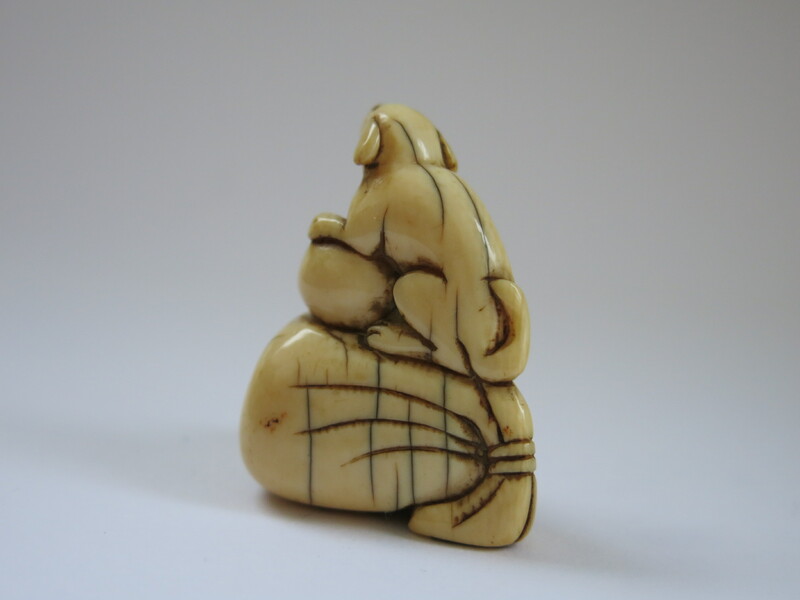 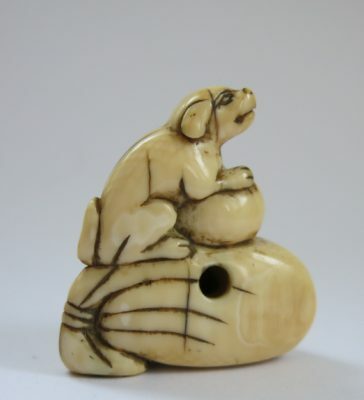 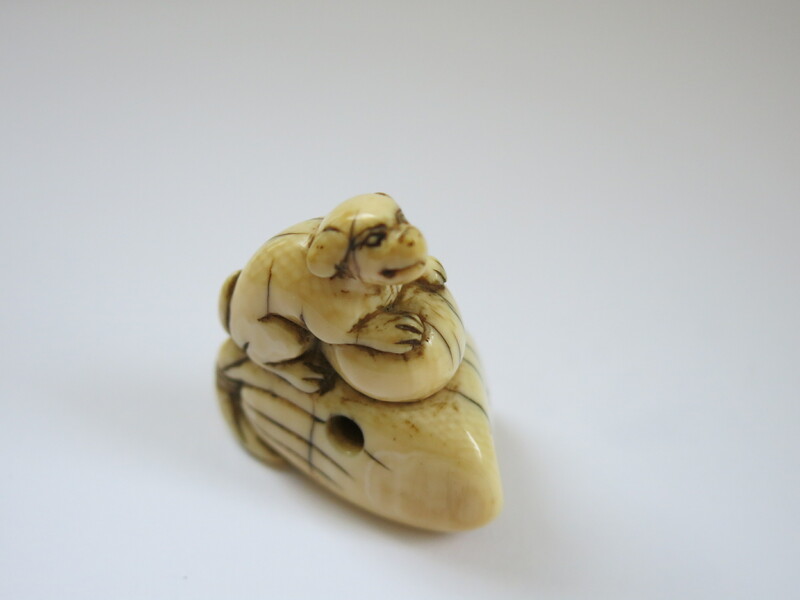 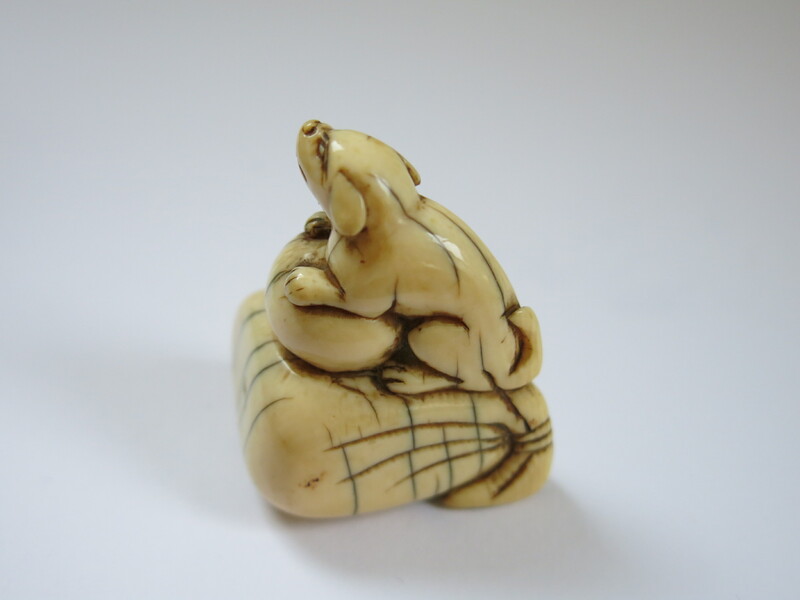 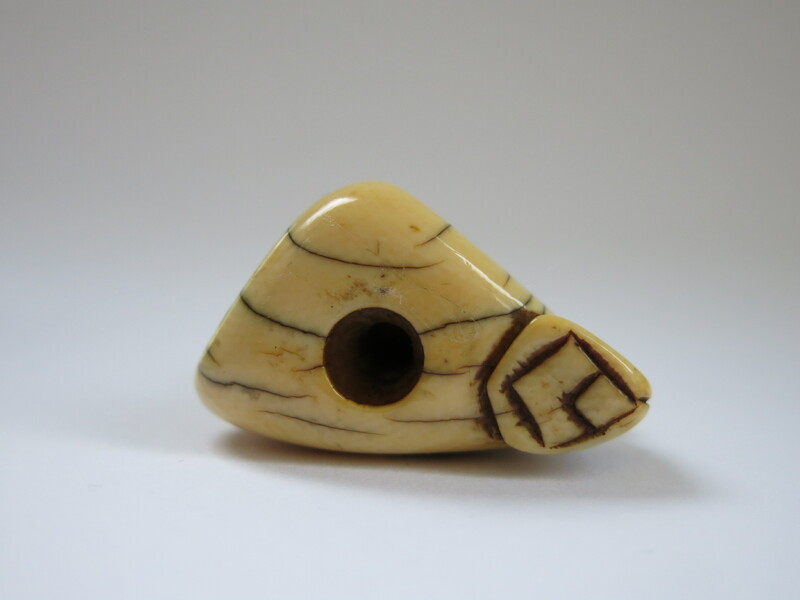 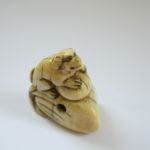 NETSUKE – An ivory netsuke of a dog, playing on a bag. 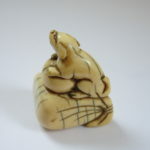 Beautiful patina. 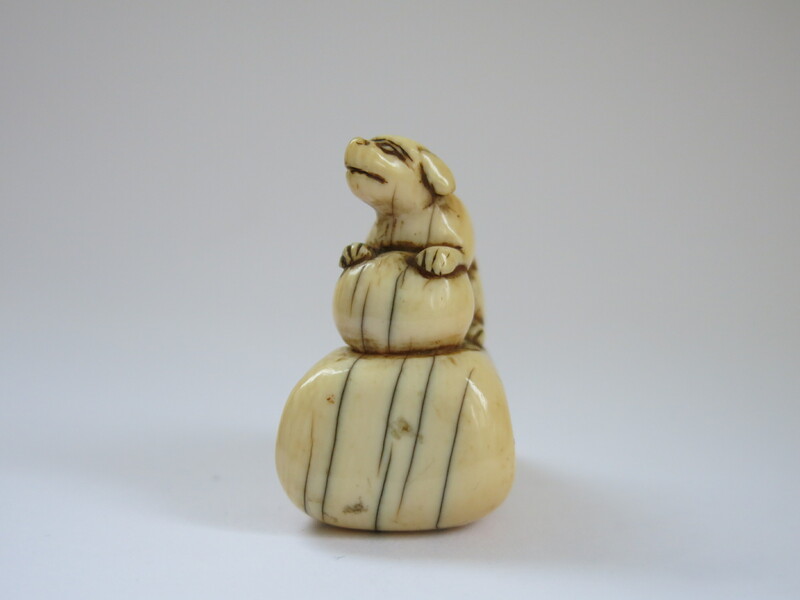 Height : 1,6 inches. 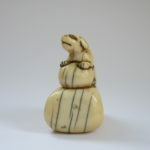 Japan Edo 18th century.